End of the year catch up! Here are some things I have been working on. 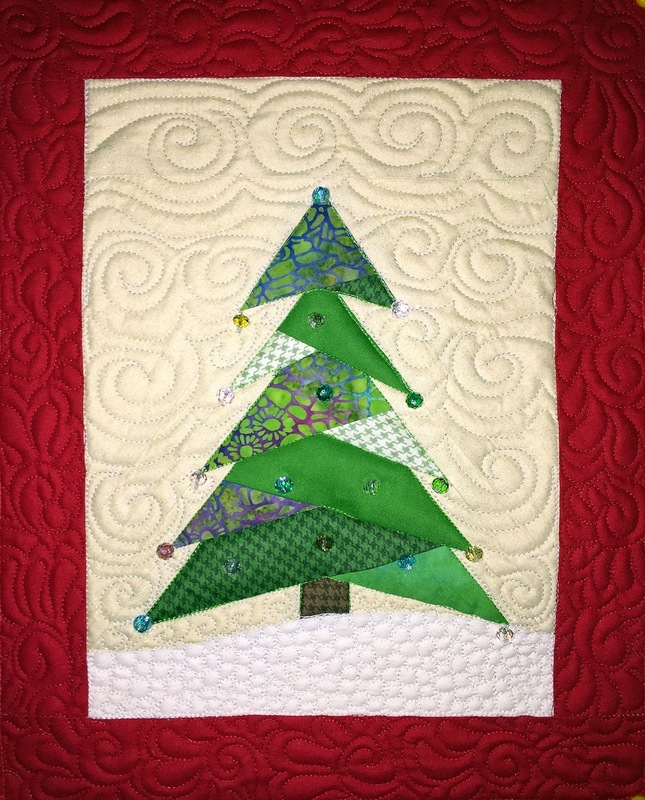 I finish my little Christmas Tree Paper Pieced quilt pattern. My son had filmed a video of me making it that I wanted to post on my website, but he has been distracted and hasn't finished it. I know this is really late in posting this since Christmas is over, but you could always just make it a tree quilt! 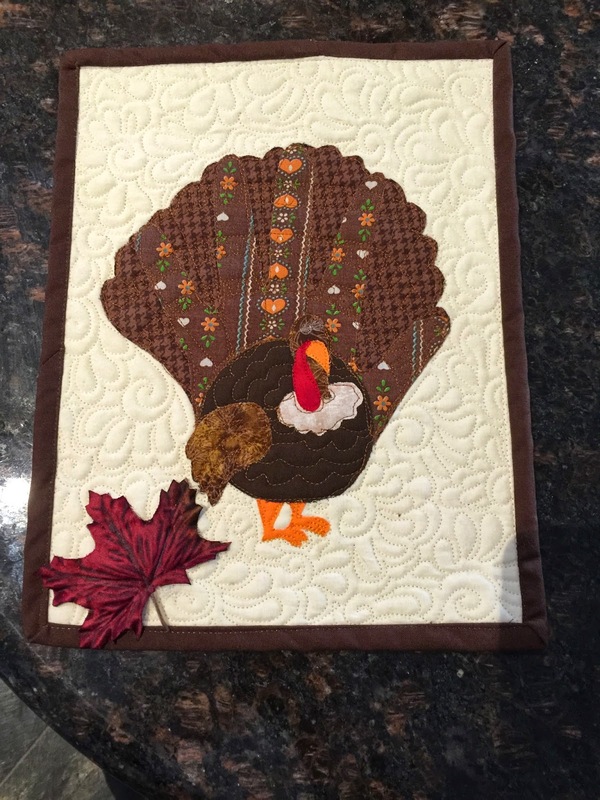 I also created a small quilt for the turkey hand contest at work. So I won second place. I didn't see the first place winner. I just realized that the turkey is missing his eyes in this picture! They must of came off when I brought it home. Just picture it with those movable eyes! I will have to find some more eyes to put on it. I also did a sampler quilt. 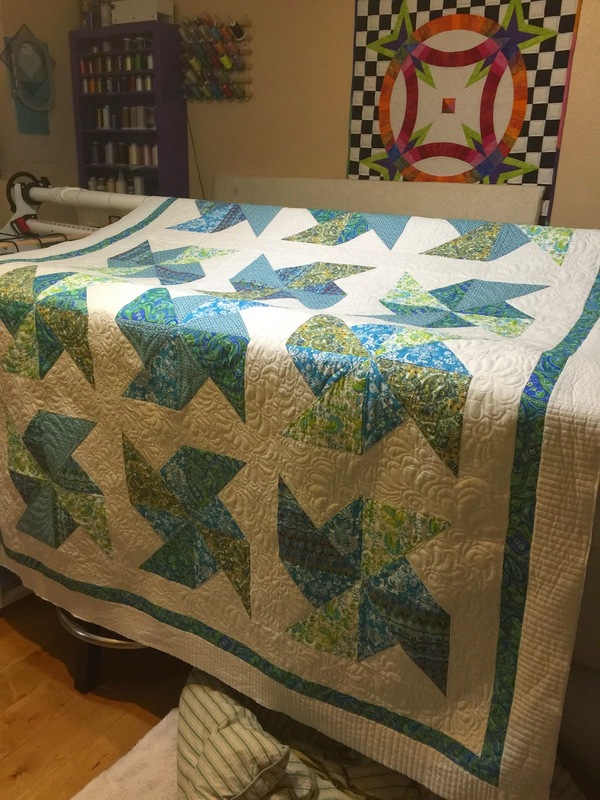 I was trying out the fill patterns on my longarm. Some of the quilt is free motion and the letters and fills in the letters are done by the computer. 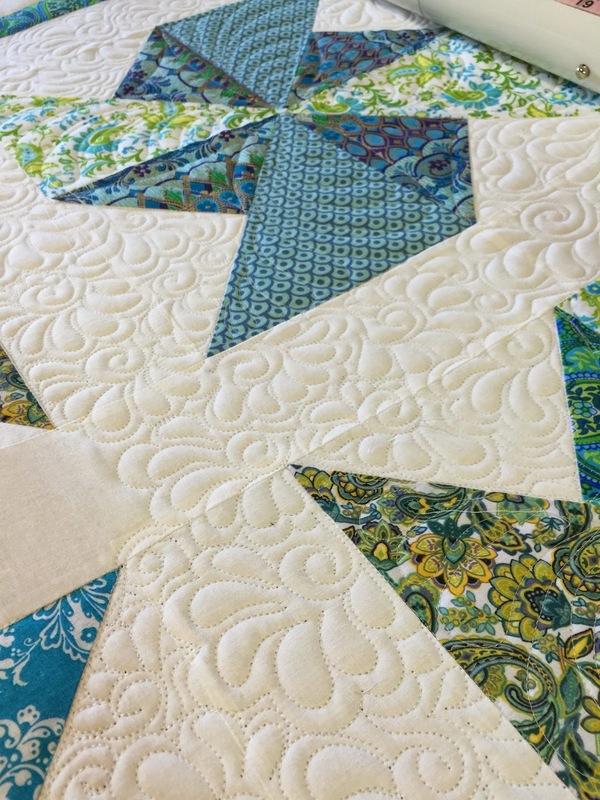 It is always fun to see the back side of the quilt! I have a few more things I have been doing but I will leave it for the next post.